This puzzle appeared in a book called 'Puzzles Old and New' written by Professor Louis Hoffmann, and published in 1893. The book is regarded as a classic in terms of mechanical puzzles, and quite a few of the puzzles in the book have subsequently been described as Hoffmann puzzles, although in many cases he did not actually invent them. 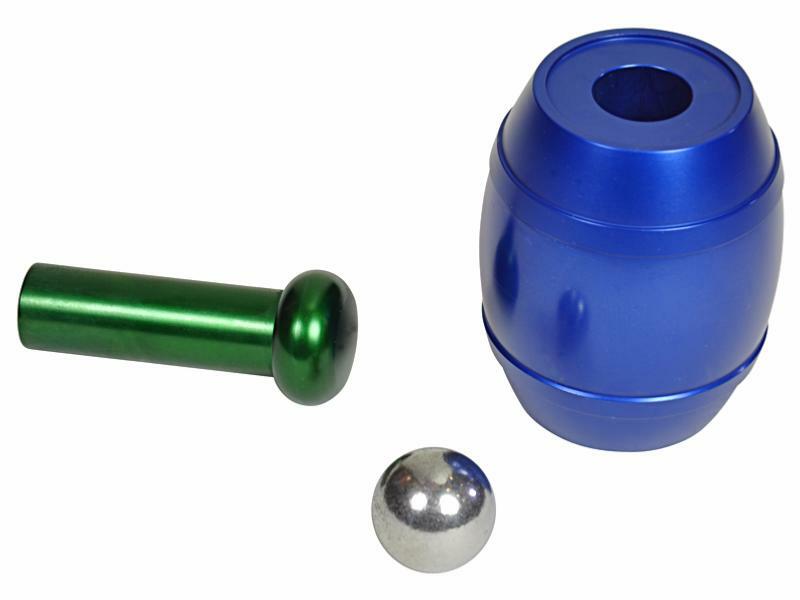 This version of the famous Hoffmann Barrel and Ball puzzle consists of a blue barrel which contains a ball bearing. There is a hole in one end of the barrel, but the hole is too small to allow the ball to pass through. You are also supplied with a rod, the thin end of which will pass through the hole, into the barrel. The challenge is to get the ball out of the barrel.Made specially for Grand Illusions, the barrel and the rod are both made of anodised aluminium. The barrel is 49mm high. A solution is provided. A lovely modern reproduction of a classic. It functions perfectly, and looks/feels lovely. I high quality classic. Anyone who appreciates puzzles should have one. Little bit of a giveaway when the thread is fairly easily seen. The barrel and ball is well made, though not an exact copy of the original, so it could be better.. I have been in contact with you about damage of the puzzle, but due to that all puzzle had this damage, I can accept it. The finish of the puzzle is really good and it was a fun but easy puzzle (for me). I really hope you will get more metal puzzles that are unique or remakes. I will buy them all :).